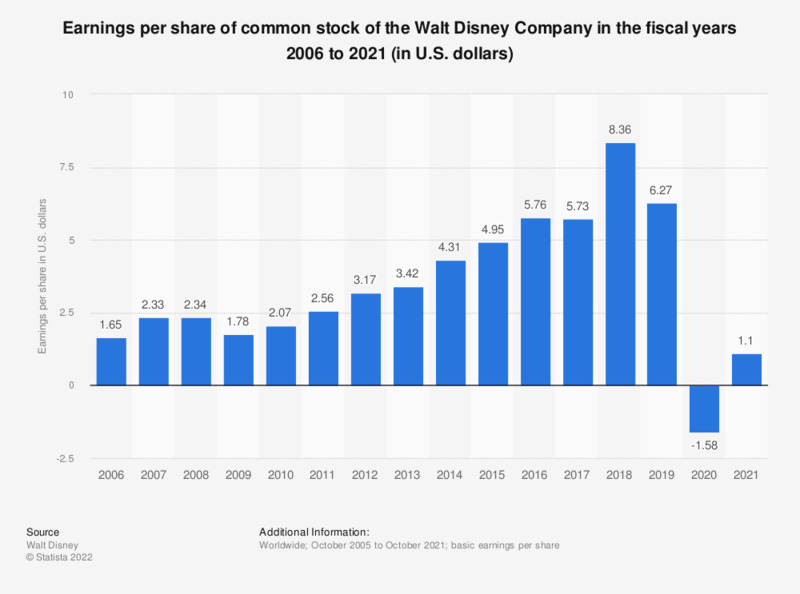 This statistic contains data on the earnings per share ratio of the Walt Disney Company in the fiscal years 2006 to 2018. In 2018, the Walt Disney Company earned 8.40 U.S. dollars per share of common stock. The Walt Disney Company reports its numbers for fiscal years that end late September/early October of the respective calendar year. Figures other than for the fiscal years 2017 and 2018 come from Disney's previous financial reports.